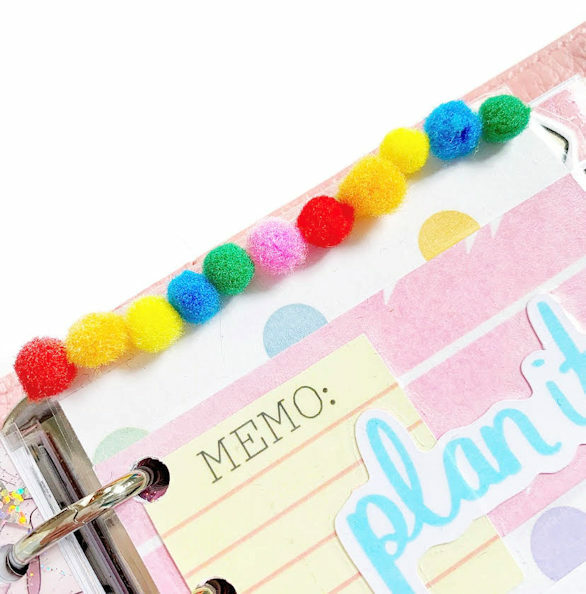 The teeny pom poms in this months ‘Planner Girl’ box inspired me to make a page marker, with a pop of colour. I doubled up two papers in the kit, and trimmed them down. I sized it so it wasn’t quite the width of my planner, so it was more of a page marker than a dashboard, and left a little extra space at the top so it pops out. I layered a few of the die cuts from the kit, and then laminated it, so it would be more durable. 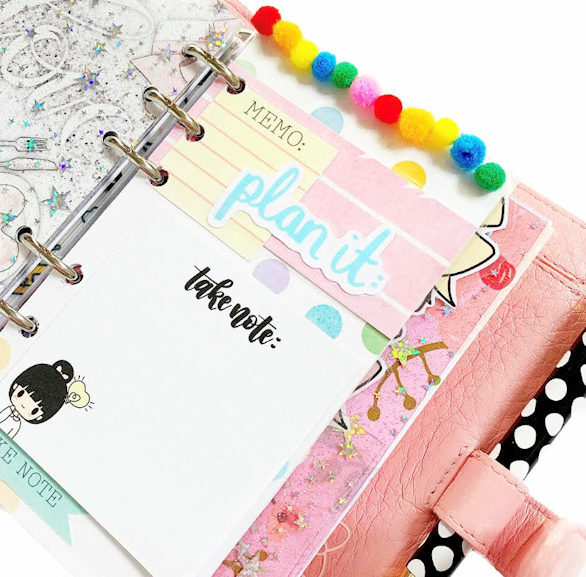 Along the top, I added a few of the pom poms for a pop of colour, and to find my spot in my planner. 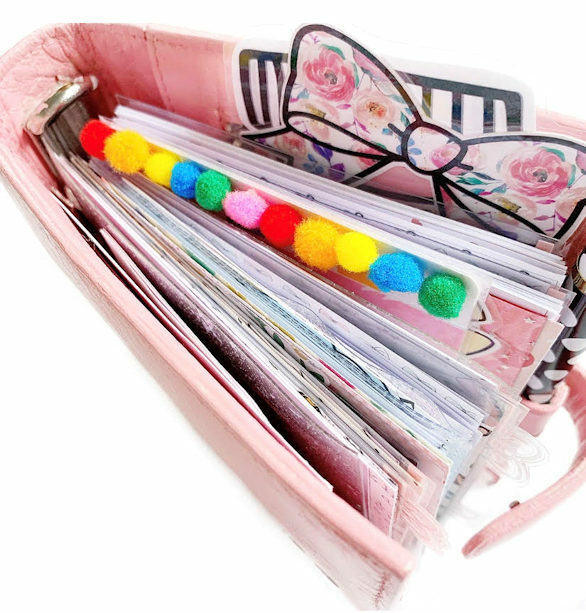 This would also be good for a journal, or as a bookmark. 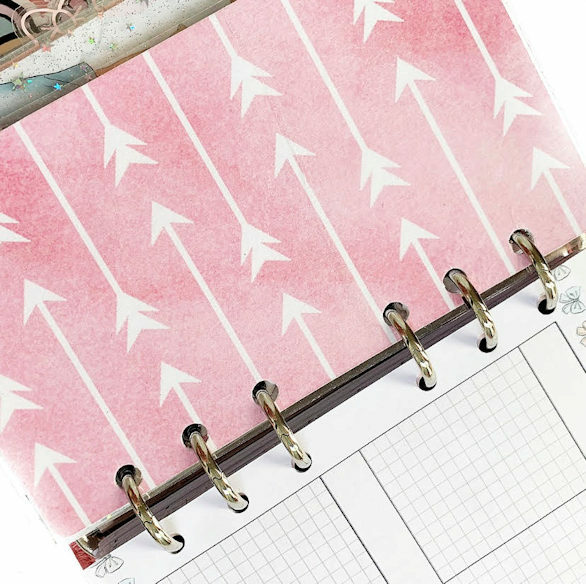 I love how it looks when my planner is closed. Who doesn’t love pom poms! I don’t know about you, but I’m obsessed with sticky notes, so when I opened the box, I was so excited to see a whole selection of them! 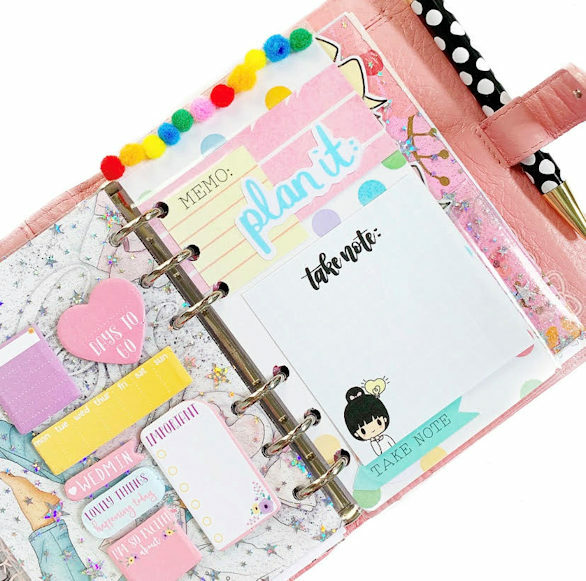 Laminated dashboards and page markers are the perfect spot to keep them in you planner. I hope this inspires you to make your own space marker. You can still purchase a kit here.